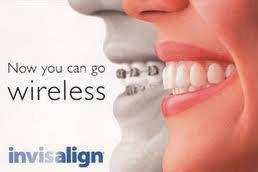 Invisalign is a virtually invisible solution, so you can smile confidently both during treatment and after. You are able to remove the aligners so you can eat, brush and floss normally. Using a series of clear, removable aligners, your teeth gradually move toward the smile you have always wanted and almost no one will notice you are wearing them. You visit your doctor every month or two to check your progression and get new aligners. Once treatment is complete, you will go into the retention phase and wear retainers for the next three months then at nights only for as long as you want to keep your teeth straight.